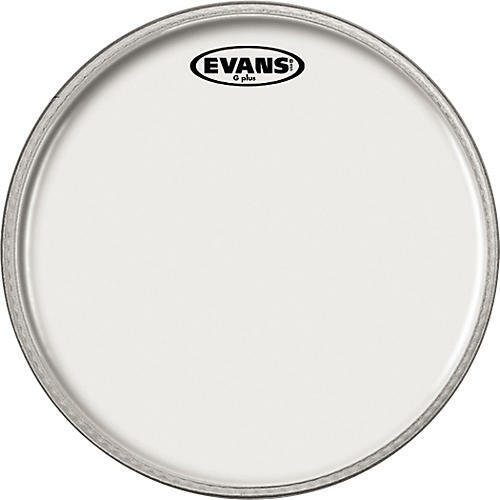 Evans G Plus Coated Drumhead 12 in. The Evans G Plus Coated Drumhead uses an exclusive 12mil film made especially for Evans. The G Plus drumhead delivers the open and warm tone of a single-ply head while its added thickness provides increased durability, attack, and projection for hard hitting drummers. On snare drums, it produces a definitive "crack" while maintaining an ambient sound. The G Plus drumhead's coating adds additional warmth, focus, and depth. Single-ply, open and warm tone with ample resonance, increased durability, enhanced body & projection.